The big holding company agency model may be under pressure but it's still possible to run a "wonderful" agency business if local entrepreneurs are in charge, according to M&C Saatchi chief David Kershaw. Kershaw, pictured above, was speaking after the independent ad agency group posted record annual results, with revenues up 7% to £241m and profit before tax and exceptional items up 16% to £27.7m. He has pencilled in a further revenue increase of 7% in 2018. Kershaw contrasted M&C Saatchi’s performance with some of the big holding companies, which have reported only modest growth, and he said his group has benefitted from its lack of dependence on multi-national FMCG clients and media-buying – two areas that have been under pressure. He said: "If you’ve got a model based on entrepreneurs, our numbers demonstrate outside the issues the holding companies face, you can still have a wonderful business." Kershaw explained that M&C Saatchi’s business model is "overwhelmingly organic". Instead of acquiring agencies, the group has rolled out its existing agency brands such as CRM shop Lida and M&C Saatchi Sport & Entertainment in partnership with local entrepreneurs in many countries. "Last year we started 17 companies and we have a relentless desire to start businesses with shareholder owners," he said. "Because they are all started by local entrepreneurs, they are built on local businesses, rather than multi-national groups, so they don’t suffer from the pressures with [FMCG clients such as] Procter & Gamble and so on cutting spend." Kershaw added M&C Saatchi was insulated from some of the transparency questions that have hit margins in media-buying in the last 18 months. "I don’t think it’s a secret that there are pressures on media-buying, which has been the cash cow [of the holding companies]," he said. M&C Saatchi cut its stake in media agency Blue 449 to below 25% in 2013, after selling the rest to Publicis Groupe. Sir Martin Sorrell, the chief executive of WPP, recently said at his annual results that creative agencies were suffering more than media agencies. Kershaw conceded there was "certainly not a meltdown" in media-buying, adding: "The majority of big pitches are still fought around who is going to deliver the media for what money." He also insisted creative agencies were holding up well, if they are structured in a way that suits clients. "If you deliver a good product, there’s no reason not to have a business with healthy margin," he said, predicting that "increasingly, the focus will return to making a selling message" as advertisers rediscover the importance of communications. "It’s never going to deliver margins like media in the last decade," he said. M&C Saatchi’s UK creative agency has suffered from persistent management problems in recent years, but Kershaw said there was evidence of a "turnaround" under a new team, led by Giles Hedger, Justin Tindall and Kate Bosomworth. 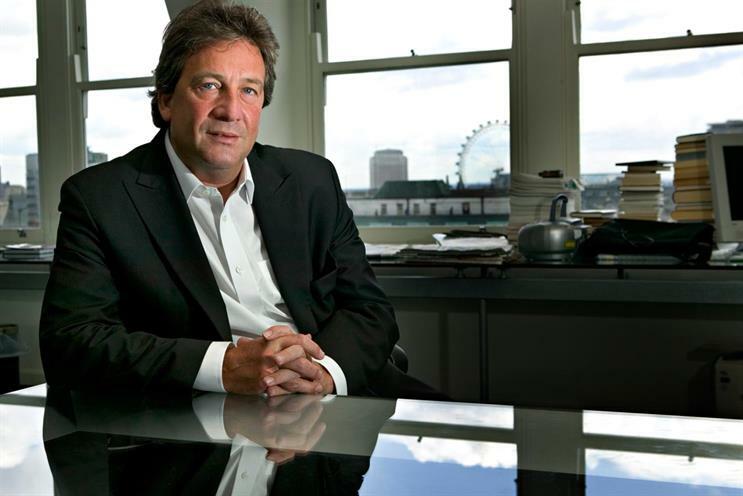 The success of the UK agency is "very important to us", Kershaw said, referring to his fellow founders, Lord Saatchi, Bill Muirhead and Jeremy Sinclair, because London is where they started the business. Revenues in Asia and Australia were up 23% as they won work from Prudential and Jack Daniels. The only significant blow was in the Americas were revenues fell 3% because of "a slowdown in advertising revenues" in the New York office. M&C Saatchi’s share price hit a new high of 409p. Numis Securities, M&C Saatchi’s broker, said the results were "in sharp relief to those delivered by the global marcoms majors", adding: "The group continues to benefit from a strongly differentiated business model which is focused on an entrepreneurial culture and its owner-driver ownership structure."